One of the most frequent questions asked about Mocha’s settings is, when do you have to turn on Perspective modeling instead of just tracking Shear? This exercise demonstrates the different motion using CG footage, then shows how to translate that to real-world footage. This effectively shows when Shear is not enough to get the best track and how Perspective tracking should be used. The second part of the tutorial demonstrates more techniques for dealing with large motion blur on the object you wish to track. 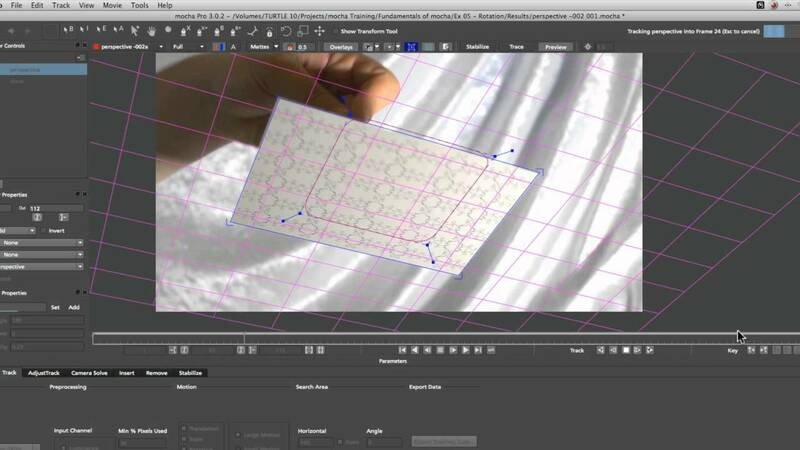 We discuss shape size, placement and keyframing the shape to get the best results.